So which side were you on? Did you fly by the seat of your pants with Sonic The Hedgehog or joyfully bounce around with Super Mario? Did you embrace the radical cool of Sega or the playful steadiness of Nintendo? If you were growing up in the 90s in North America you had to – had to – choose one. It wasn’t a matter of mere economic feasibility (a kid’s parents were only going to commit to one video game console) or shelf space, it was a matter of personal identity. Sega vs. Nintendo. This was the battlefield of a generation. 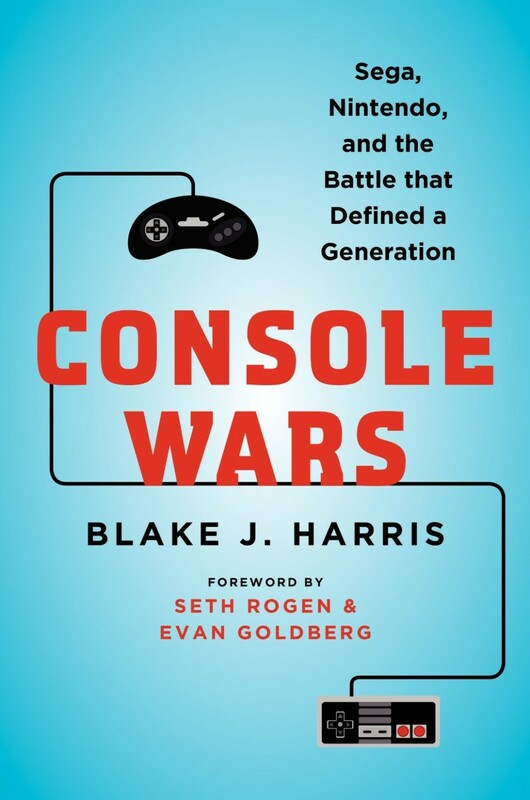 Last month saw the release of Console Wars: Sega, Nintendo, and the Battle that Defined a Generation by Blake J. Harris. The book, which stretches well over 500 pages, attempts to describe that early 90s period where the frontier of the video game was constantly being pushed further and further than thought possible. When I think back on that time, I remember the leaps and bounds made from Contra, to Sonic, to Super Mario Kart, to Donkey Kong Country and beyond. It was a heady time. But the book also gets at the heart of what drove kids like me to go crazy for video games: marketing. The story of Console Wars is told largely from the perspective of Sega. And at the outset it’s easy to see why Harris made this narrative choice. In the late 80s, a few years removed from the video game crash of 1983, there was one game in town: Nintendo. They controlled the hardware, and quality assured (a.k.a. throttled) all of the software. At its peak, Nintendo owned 90 percent of the industry and was able to defend themselves against charges of monopoly by claiming their control of the industry was for its own good. Sega, meanwhile, was just another rival upstart company, a hopeful underdog. The hero of the tale, such as it is, is Tom Kalinske, the newly anointed CEO of Sega of America in 1990 (he hung on until 1996). Standing opposed are the forces of Nintendo, represented primarily by Minoru Arakawa, president of Nintendo of America, and his chairman Howard Lincoln (with an assist from Peter Main). As the book makes clear, what starts for both companies as an exploration of hardware becomes an explosion of software, as the marketing people on both sides balloon the video game market back up. After the crash of ’83, video games were seen as a failed business, a toy fad that had gone bust. But with these shrewd minds at work, both Nintendo and Sega were able to soar along different trajectories to success. As a result, the marketing people in the book are all seen as fun loving, dynamic family men (and women) while the game designers largely bounce between singular tropes: Shigeru Miyamoto’s grinning opaque brillance, Yuji Naka’s pessimistic perfectionism or Trip Hawkins’ off-putting petulance. My fascination with the book’s subject matter stems, similarly to Harris’ own, from the desire to know what exactly the deal was with Nintendo, and more importantly, its supernova competitor, Sega. These days a three-way console arms race is the natural order of business but back then it seemed impossible that any company could a) challenge Nintendo, b) eventually overtake it, c) implode and all but disappear as a major player in the video game industry. Harris’ research explains how Sega was able to gradually push its way into the market with a wave of “cool” advertising, a cast of new renegade heroes, and perhaps a tenuous grip on game content (and probably quality too, if we’re being honest). It’s how we end up with the impatient Sonic as the hero of a generation, and games like Night Trap. To the book’s benefit Harris provides an exhaustive look into the inner corporate machinations of each company. While the Nintendo overview is light in comparison to Sega (which speaks, I think, more to Nintendo’s desire for obfuscation than Harris’ unwillingness to write about them), he still manages to outline how it became the Goliath of the industry. The Sega saga, meanwhile, goes into all kinds of detail from CEO Kalinske on down. We get tales of how his team was hired, the interoffice politics, a dash of personal stories, and as a baseline, the odd adversarial relationship between Sega of America and Sega of Japan, led by the enigmatic Hayao Nakayama. One wonders what could have been had the two divisions of the company sought to work a little more closely as the 16-bit era came to a close. Nintendo, a hundred plus year old Japanese company, comes to represent the steady growth of the video game industry. As invoked in the book, they are the tortoise to Sega’s hare. Arakawa, the seemingly unshakable leader, never seems overly perturbed by Sega’s latest advertising gambit or “look at us” bit of PR, even as they eat up Nintendo’s market share. While Sega’s Kalinske pushes everything as far as he can out onto a ledge. The company’s dive into peripherals like the Sega CD, Pico and the doomed 32X, coupled with the disastrous launch of the Sega Saturn, eventually cast them right back where they started: under the boot of Nintendo. Still, as unresponsive as Nintendo appeared to be, ignoring the rest of the industry at every turn, Sega constantly reminded everyone of what they could do that others could or would not. They’d plaster a whole town near Walmart HQ with ads to get their attention. They’d hold the first ever global video game launch (Sonic 2uesday). They’d call out Nintendo directly. This blazing style worked for half a decade, until, with investments in the aforementioned failing hardware and before-its-time on demand services, suddenly it didn’t. Long time enemies, now friends (sort of). While the nuggets of insider information are appreciated, Harris does have the habit of wandering a little too far into the realm of staged “recollected” conversations. He’s written the whole book to feel like part documentary and part office drama (with many funny asides). This would work as a movie (and it has already been optioned for one by Seth Rogen and Evan Goldberg) but as a book, you’ll sometimes find yourself skimming a “how’s your day going” conversation to get to the next bit of fascinating fact. While these corporate chats eventually all sound the same, with one figure blending into the next (except when the Japanese and Americans tersely converse, or when Steve Race is involved), the intrigue is palpable and hooks the reader right from the start. I must admit my recollection of Sega is not particularly favourable. 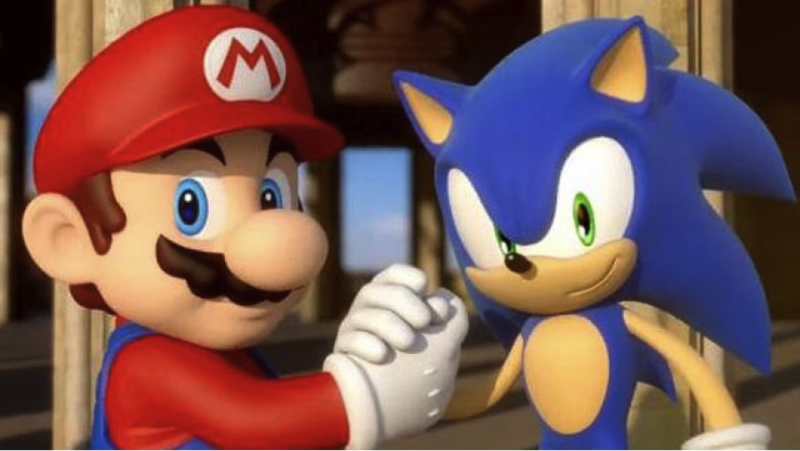 They had Sonic, sure, but I always felt Super Mario was the superior game. And while Harris does appear to let Kalinske and Sega of America off the hook for their style over substance marketing (Blast Processing, for example, was nothing but an empty buzzword), it’s hard not to be swept up by the tragedy that gradually befalls the company. The real winner of course is Sony and throughout the book Harris never fails to check back in with the slow and steady progress of this third Japanese electronics giant. The spoils of the video game war are a complicated thing, but as deals between Sony and Nintendo and then Sony and Sega fell apart back then, it is fascinating to learn, even in the margins, how Sony picked up the pieces and decided to enter the video game market on its own terms. Now twenty years later, where are we? Nintendo still has the franchises and its heart set on the family, Sony and Microsoft duke it out to claim the living room with their all-in-one entertainment box. We’ve come a long way from light guns and 8-bits, power gloves and CD add-ons, and yet, the console marketing war never ends. Sega is now nothing more than a spectre, a software only survivor. But, in its way, the company was a harbinger. Things haven’t really changed in the video game industry, we just hit the reset button for the next generation. A brief comment just to say MANY THANKS for the gaming post here, this is bang on what I was searching for!